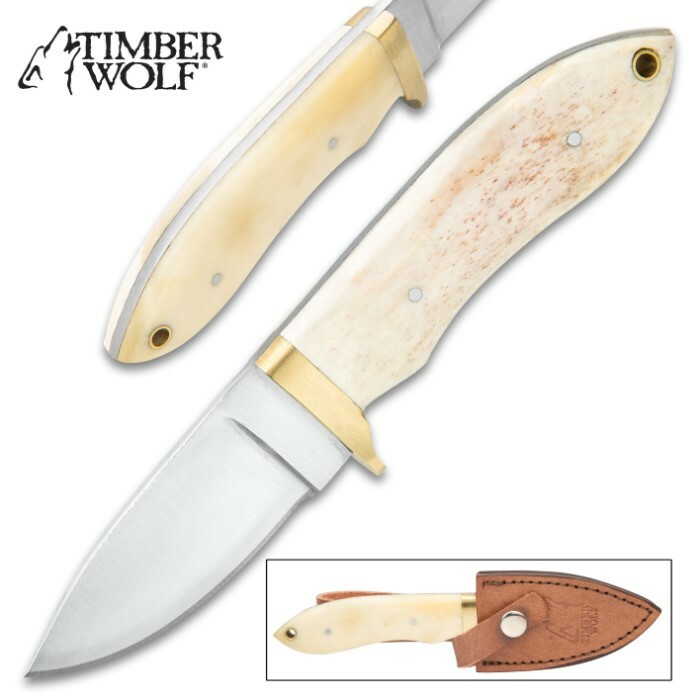 Timber Wolf Deer Stalker Fixed Blade Knife - Stainless Steel Blade, Genuine Bone Handle, Brass Pins And Guard - Length 7 1/2” | BUDK.com - Knives & Swords At The Lowest Prices! 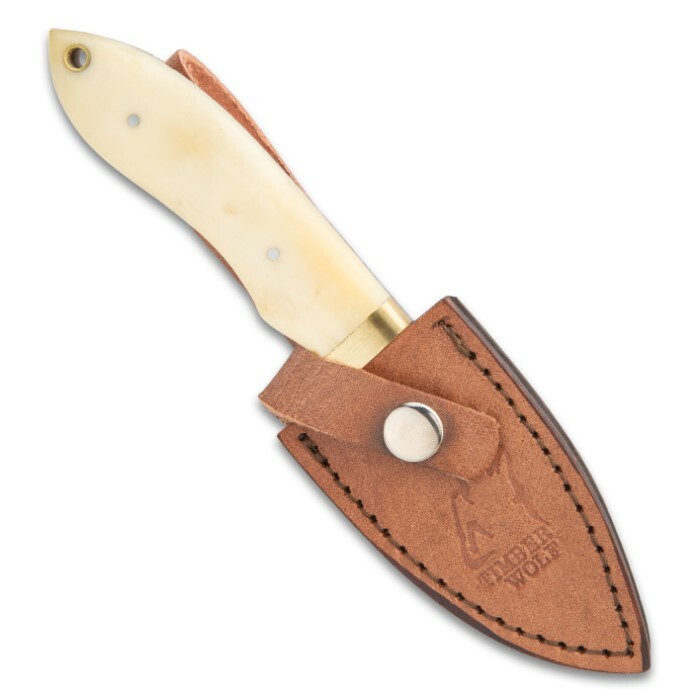 The Timber Wolf Deer Stalker Fixed Blade Knife is a compact hunting knife that, even in its genuine leather belt sheath, won’t take up much room on your belt. When you’re out trying to get the big one, you don’t need things that will hamper your movement like one of those big, bulky survival knives. 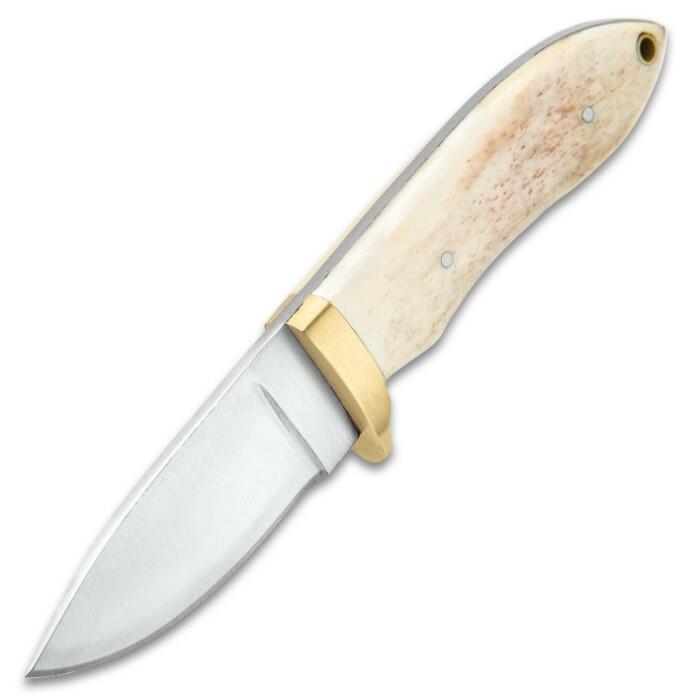 This hunting knife comes in at 7 1/2” overall but, make no mistake, its 3 1/4”, full-tang stainless steel blade is keenly sharp. 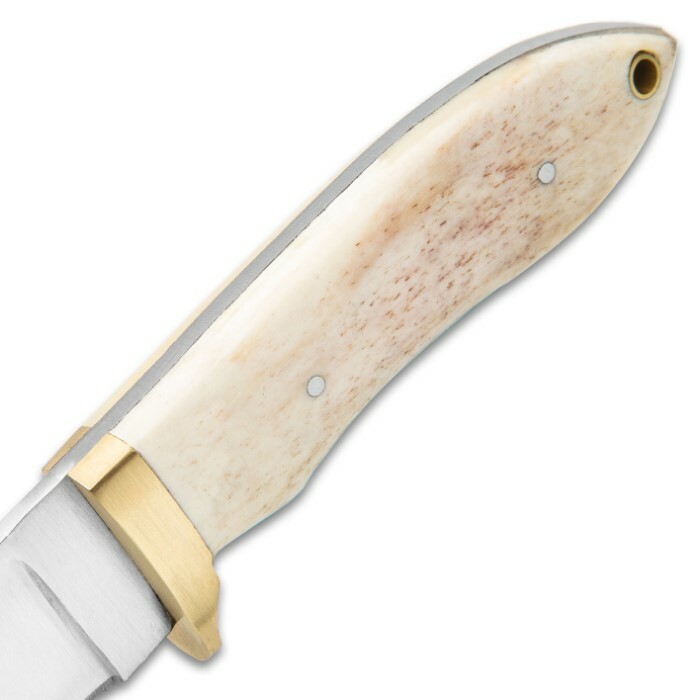 The smooth and silky genuine natural bone handle is complemented by brass pins and a brass partial guard, which keeps your hand from slipping to the blade. It also has a brass lanyard hole, giving you another carry option. Designed to make easy work of field dressing, the Timber Wolf Deer Stalker Fixed Blade Knife will get it done season after season!